Miss those days uplifting trance? 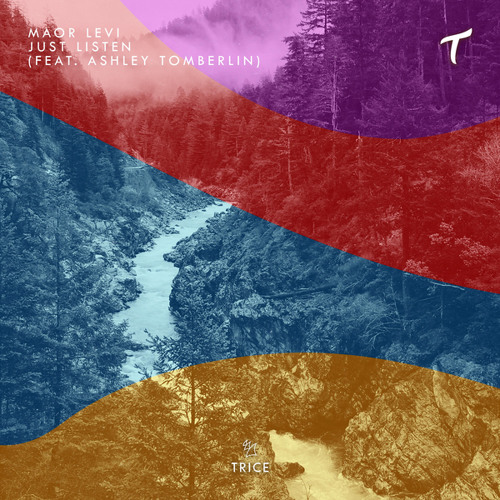 Well, Maor Levi just gifted us with a new tune called ‘Just Listen’ featuring vocals by Ashley Tomberlin. The song’s progression and chords bring us back to the days emotional trance with hauntingly beautiful lyrics, asking the listener to stop focusing on anything else and “just listen.” Tomberlin’s ethereal voice elevated this track to one that any DJ can drop in the middle their set to ask their fans to just concentrate on the music. Levi has been pumping out song after song since his with moombahton supergroup Bad Royale late last year. No reasoning was given as to why Levi wanted to leave with the group, but judging by his own music, we can see why he wanted to branch out Bad Royale’s sound and grow as an artist. Clearly, Levi wanted to go in a different direction with his own trance sound, which is notably different than the moombahton and trap-inspired sound Bad Royale. His own music is notably brighter with more piano-laden melodies, more fit for the festival mainstage than the music than that his former group. Keep an ear out for this rising star. Stream the track below and follow the link to download!